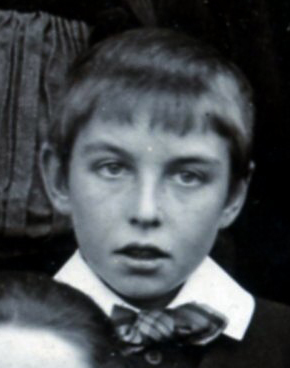 Harry Shipman, seen in the Muston School photograph, 1902. From the private collection of Mr Alan Hodgkinson. Harry C. Shipman was born in 1889 in Stathern, and baptised on the 11th August. His father was Thomas Andrew Shipman, a farmer born in Harby, Leicestershire, in 1863: his mother was Louisa Shipman (nee Braithwaite), born in Stathern in 1864. In 1891, Thomas and Louisa lived at Hospital Farm, Muston, where one year old Harry was their only child. In 1901, their address was Grantham Road, Muston. There were now four children: Harry (aged 11), Marjorie (5), Gwendoline (4) and Nina Louisa (1). Harry’s mother, Louisa, died in January, 1908. In 1911, Thomas Shipman, now a 48 year old widower, still ran his farm in Muston. Twenty one year old Harry was described in the census as a farmer’s son ‘working on the farm’. He was one of six children, which included nine year old Olga Mary and five year old George William. The Grantham Journal, 30th November 1912, reported on a case in Grantham County Court whereby Thomas Shipman claimed that Harry and Robert Shipman, his trustees managing his affairs, had not paid him his full allowance. The reason given was that he (Thomas) had “taken to drink again”. The judge dismissed the case but added that “the plaintiff must receive a shilling a week, drunk or sober”. Evidently, Thomas Shipman was having difficulty coping after his wife’s death, and this was creating strain within the family. Harry Shipman married Annie Louisa Donger, 29 year old daughter of George Henry Donger, on the 21st June 1915 in Muston. Harry’s father re-married late in 1916. His second wife was Elizabeth Ann Norman. As a farmer’s son running his father’s business, there is a good chance that Harry was exempted from military service. However, this is not certain, and a good candidate for him, if he did join up. 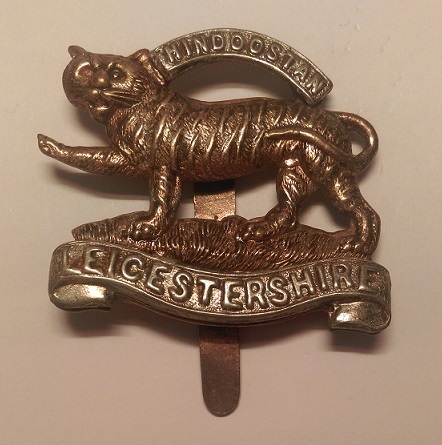 would be Pte 23872 Leicestershire Regiment, based on looking through medal index cards. He would probably have received the Victory Medal and the British War Medal. Harry lived in Muston after the end of the war. He took an active part in the village. The 1923 electoral roll for Muston catches Harry Cyril and Annie Louisa Shipman living on Easthorpe Lane, while Harry’s sister Gwendoline was at Hospital Farm. Their father, Thomas Andrew and his wife Elizabeth Annie were at Muston Post Office. The Grantham Journal, 5th January 1935, recorded H. Shipman among the mourners at the funeral of Mrs H R Cole at Hill Farm, Bottesford. In 1938, Harry Shipman served as Muston churchwarden. This was also the year in which Thomas Shipman, Harry’s father, died. In 1939, dairy farmer Harry C. Shipman and his wife Annie L. Shipman still lived on Grantham Road (Muston), with their sons George H.C. (b.3rd January 1918), an accountant’s audit clerk, and Eric C (b.23rd November 1919), an insurance clerk. Harry Shipman died on 21st May 1966 in the Grantham district (at Muston, most probably). His wife, Annie Louisa, died in 1973 in the Newark district. This is a very uncertain identity, especially as Harry C Shipman may well have been exempted from military service because he was a farmer.